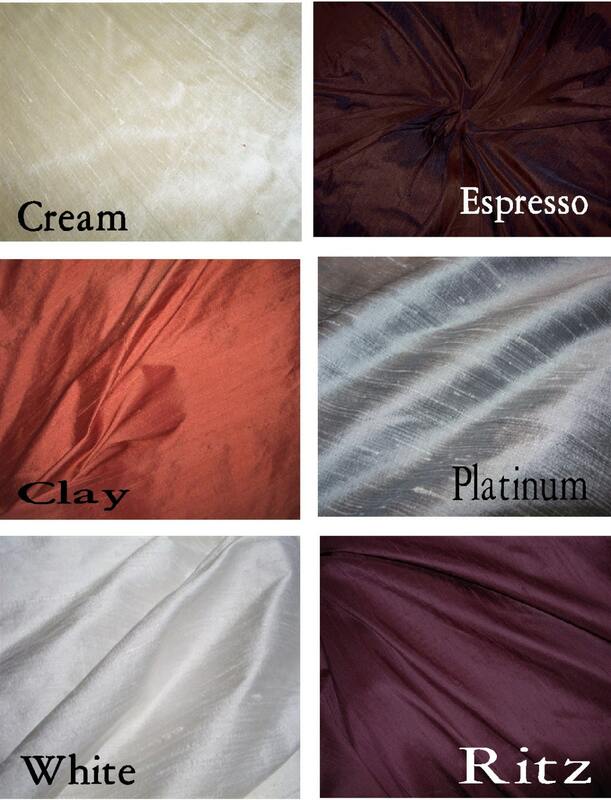 This Silk Dupioni drape is available as a custom order in any of the colors shown. Listing is for a pole pocket style drape with thermal suede lining. Upgrades are below. 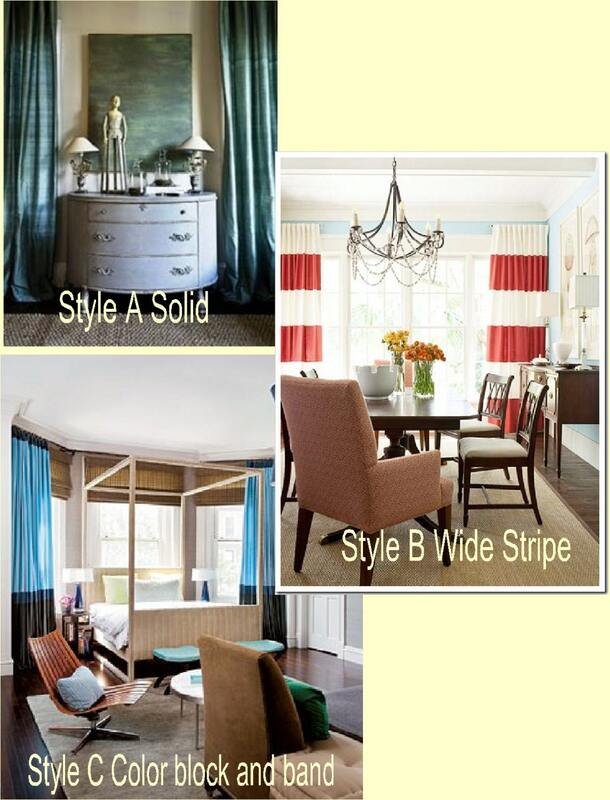 Pick one color (solid style A) or mix 2 or 3 colors for a color block (style C) or stripe drape (style B). Pick your your size and stripe or solid style in drop downs above. 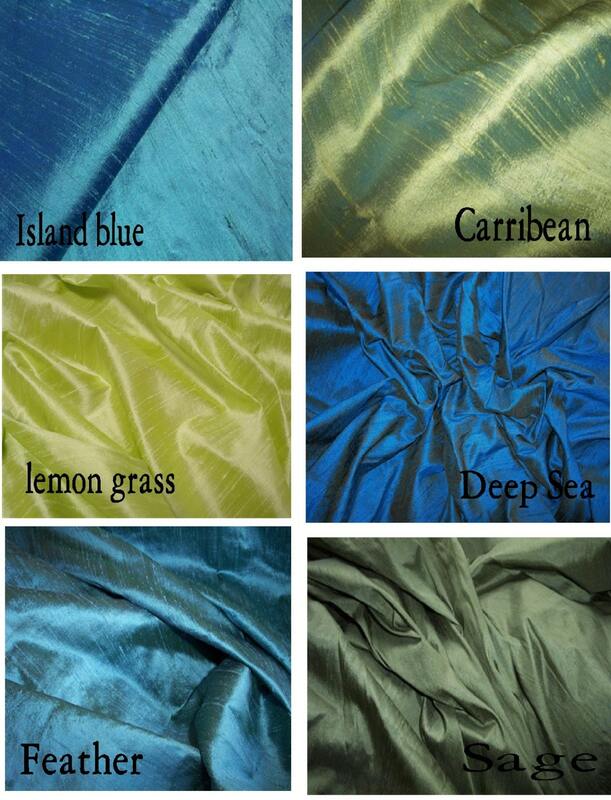 Then in the "message to seller" box at check out list the silk colors you would like. 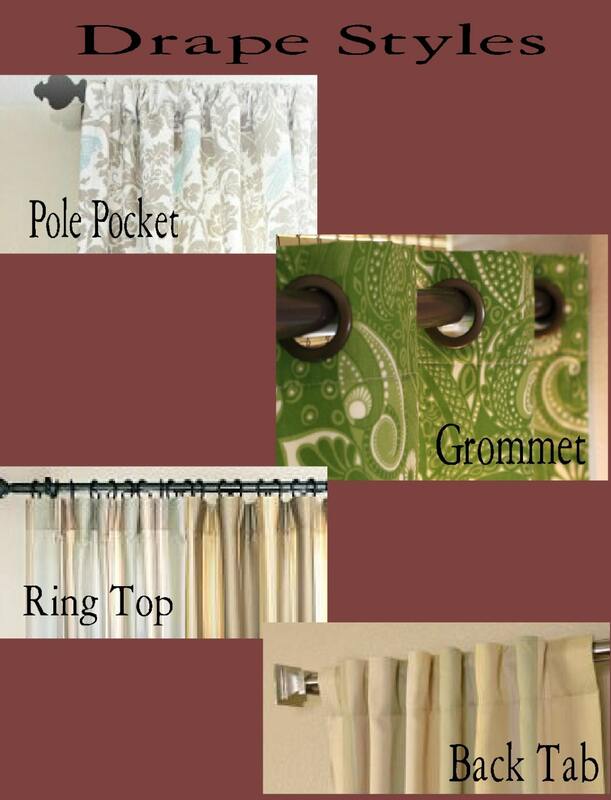 Grommets for only $12 more per drape-message me for a custom listing. Click this link to add this style to your drape https://www.etsy.com/listing/118860501/50-in-wide-drape-grommet-addition. Backtab and no pleat ring top style are $15 more per drape- message me for custom listing. Click this link to add this style to your drape https://www.etsy.com/listing/118860304/back-tab-or-plain-ring-top-style-drape. 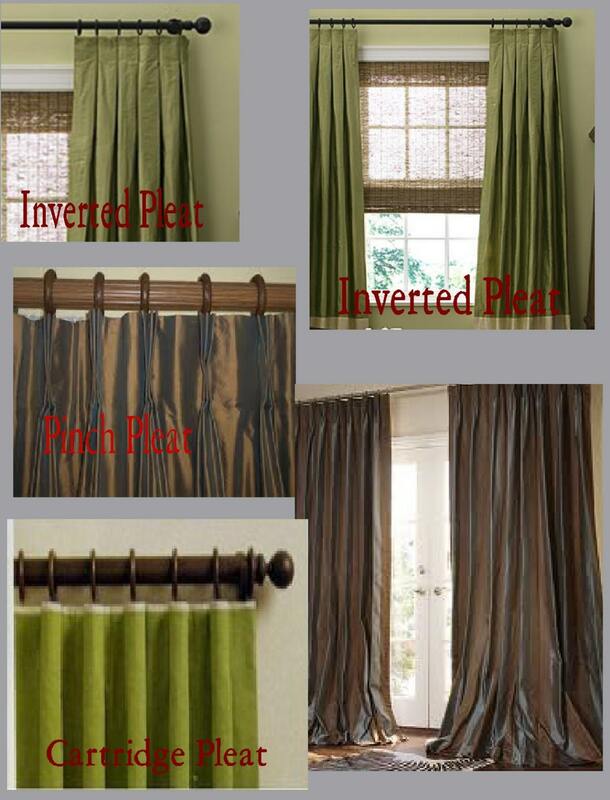 Pleated Drapes (inverted, pinch, cartridge, goblet, pencil, plain pleat) are available -Message us for a quote. If you need a larger size we can customize. All of my drapes are made with high quality fabrics and liners. The grommets that I use are large to fit large circumference rods. Check out our loft line pillows to coordinate with the drapes by clicking the pillow link https://www.etsy.com/shop/avecdieu?section_id=5374969. If you need 4 or more panels, message me for a custom listing. I offer 10% off orders of 4-5 panles and 15% off orders of 6 or more panels! Check listings for same fabrics in other sizes! Don't see the size you need? Just message me, we can do any size. I do custom orders on any of my drape listings with whatever fabric you choose. Contact me if you need a size, color or print other than what I have listed. You can also custom order pillows, shower curtains, table cloths, cloth napkins, valances, wedding table runners etc in any of my fabrics. Just message me or email me at avecdieucouture [!at] yahoo.com. We donate to projects in Uganda to provide wells for water, food, and care for orphans with AIDS.